Hello bookworms! I was recently contacted by IBW with lots of information on the bookshop crawl and I thought I would share my recent indie bookstore purchases with you to celebrate. Sit back and relax whilst I show you the books that I bought from a couple of independent bookstores in Bristol yesterday afternoon. I didn't manage to take any photographs of the store fronts because I was enjoying myself far too much. However, if you give the following stores a quick google, you'll find all the information you need online. I'd read about Bloom and Curll online so I made a specific de-tour just to browse their collection and, thankfully, I wasn't disappointed. This bookshop is packed to the brim with both second hand and new books, boasting a wide range of genres and topics, the shelves are filled from ceiling to floor. I could have easily spent a lot more money than I did because it was so reasonably priced. I have nobody belongs here more than you by miranda july in e-book form but I'm one of those people that likes to see everything they own laid out in front of them so I had to pick up this physical copy for £3. I really enjoyed this collection of short stories when I read it last year, you can check out my review on Nouvelle Daily. 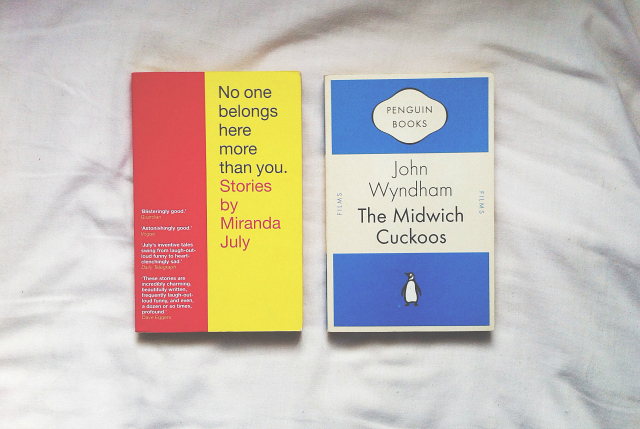 I bought Luke a copy of The Day of the Triffids a while back but I really wanted to read some of Wyndham's books too so I picked up the midwich cuckoo's by john wyndham for £3. It's a pretty little edition that is in perfect nick considering it's second hand! I would definitely recommend making a trip to this store if you're local or happen to find yourself in the city. Whenever I pop to Bristol, I can never resist a browse around The Last Bookshop on Park Street. With its prices ranging from £2-£3 for brand new books, you'd be mad not to take a look. I managed to pick up a couple of books that I've had my eye on for a while now so I was rather chuffed! 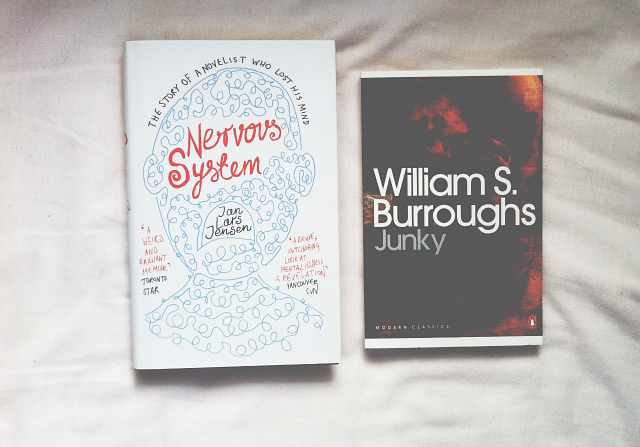 I've heard lots about JUNKY BY WILLIAM BURROUGHS and I've been wanting to read some more books on addiction so this seemed to fit the bill perfectly. I've also had nervous system: or, losing my mind in literature by jan lars jensen on my wishlist for a while so when I saw this beautiful hardback version for £3 I couldn't pass it up. It sounds really interesting. There are no independent bookshops in my town. That makes me so sad! Oh, just seeing a glimpse of "NOBODY BELONGS HERE MORE THAN YOU" on the post picture made me like you even more :D I love this book so much. I read it some years ago and probably read it three times already. Somehow short fiction can be a really dangerous & interesting genre, I underestimated that book at the beginning! 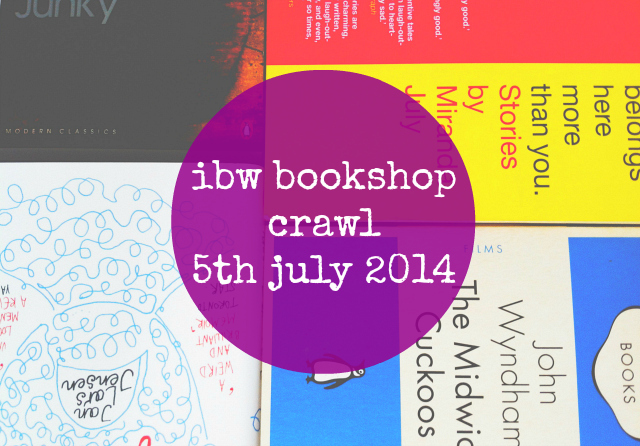 Love the idea of the book crawl, I wish we had something like that in Austria!